They're HUNDREDS of miles from the ocean. Another bottle nosed dolphin has died at Dolphinaris Arizona, now the fourth dolphin to die there in less than two years — and the second in just two months. 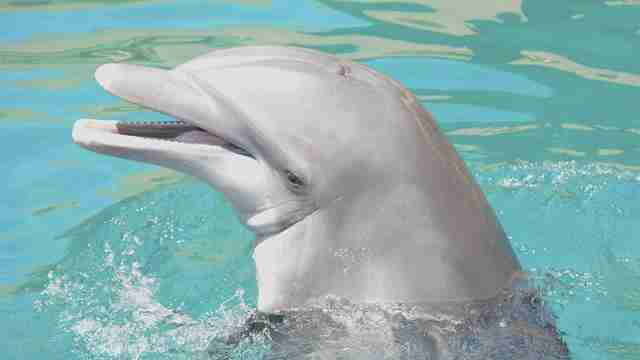 The controversial aquarium, which is located in the deserts of Scottsdale, Arizona, announced on Friday that a 22-year-old dolphin named Kai was euthanized after experiencing trouble eating, swimming and breathing for two weeks. “We recognize losing four dolphins over the last year and a half is abnormal," Dolphinaris general manager Christian Schaeffer said in a statement. "We will be taking proactive measures to increase our collaborative efforts to further ensure our dolphins' well-being and high quality of life." Animal advocates, however, aren’t so sure — especially given the aquarium’s growing track record of deaths. Since Dolphinaris opened in 2016, half of its original dolphins have died. Compared to their life expectancies in the wild of 30 to 50 years, all four dolphins died relatively young. 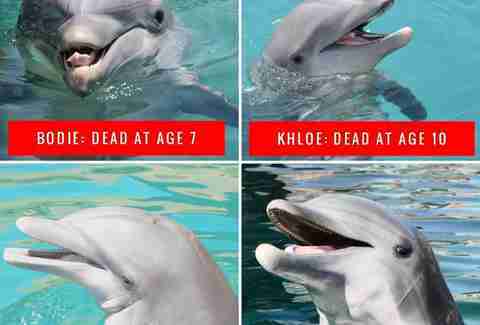 Just one month before Kai’s death, Khloe, a 10-year-old dolphin, died reportedly due to complications from a parasite. Last May, 10-year-old Alia died from a bacterial infection, while last September, Bodie died from muscle disease at 7 years old. Advocates from the local group Dolphin Free AZ and Ric O’Barry’s Dolphin Project have taken every opportunity to speak out against the marine park — and now, many worry for the fate of the surviving dolphins there. 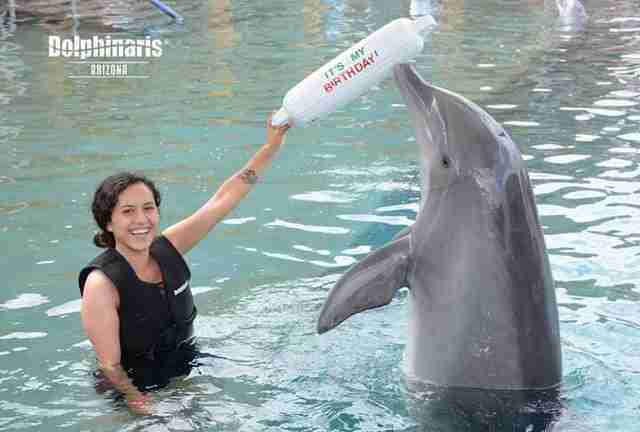 To help the remaining dolphins at Dolphinaris, you can sign this petition. If you’re local, you can also attend this vigil on Saturday, February 2.